What can’t fillers do?! From giving eyebrows a lift, enhancing cheekbones, removing the circles under the eyes, to making smile lines smoother and rejuvenating the face, dermal fillers work all kinds of miracles. If you’re in need of any of these, let us take care of the rest. 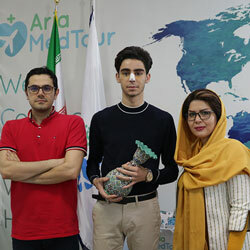 If you wonder how a dermal filler procedure in Iran is done, how much it costs, or else, here we provide you with all the details you should know before traveling to this country. Dermal fillers (sometimes called wrinkle fillers) are substances which are injected beneath the skin to add volume, eliminate wrinkles, and enhance the skin’s tone and texture. What happens in this non-surgical cosmetic procedure is that when the filler is injected, it fills the line, crease or the area with a certain substance. Fillers can be used as “volumizers”, meaning that they can fill thin lips and plump saggy hands. Also, a dermal filler can be applied in order to lift cheeks, chins, and jawlines. What about getting well-defined lips by pumping a dermal filler syringe into your lips? 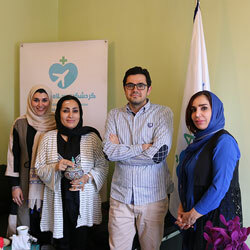 Is Iran a Good Place to Get Dermal Fillers? Iran is the place to have it, and that’s not just us being boastful! 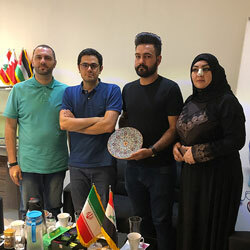 With numerous professional skin care centers, clinics and dermatology wards at well-equipped hospitals, Iran is the ideal place to have a dermal filler procedure done in. 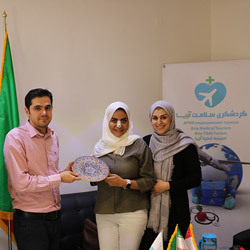 Furthermore, since the Iranian community is quite fond of everything skin-care related, such treatments and lots of similar ones are widely prevalent and practiced all over the country; thus making for the abundance of professional practitioners of such treatments, ranging from dermatology specialists to well-trained doctors in the field who practice privately but with a valid certificate or license. 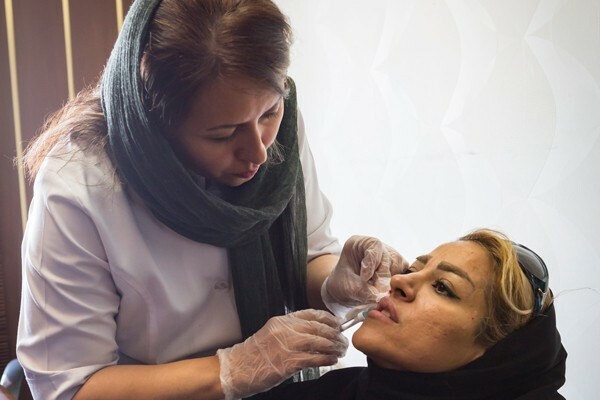 The cost of getting dermal fillers in Iran is also reasonable. While it’s not much lower than the cost in other countries, the injection is done perfectly. So, it brings a high satisfaction rate for the patients undergoing this procedure in this country. See what’s going on when you get your dermal filler injected by an Iranian doctor. The cost of getting wrinkle fillers done in this country depends on the type of filler’s substance and the manufacturing country. Usually, you will need to pay from $120 to $300 for getting fillers injected. However, this procedure costs around $500 in the US and ranges from $170 to $320 in the UK. Fillers are made of a variety of substances that are compatible with the skin. These include Hyaluronic acid, Polyalkylimide, etc. In the following section, you can find different types of fillers depending on the specific substance they are made of. Fillers vary in terms of chemical makeup. They also differ when it comes to longevity. Also, they are of diverse degrees of softness. Depending on the type of filler, they are used in various parts of the body. It is the surgeon or dermatologist’s job to prescribe you the best and most effective filler. Considered the most common and popular category of wrinkle fillers, ‘hyaluronic acid’ describes a type of filler with minimal side effects. Redness, swelling, and bruising at the injection site constitute those rare side effects. The results are not indelible, but rather long-lasting: one could expect the longevity of about several months to over one or two years. Repeating the procedure often yields desirable effects. This category is a little different. Synthetic fillers are lab-produced solutions and are not related to any natural substance in the body. Side effects might vary from redness, swelling, or bruising to other less common ones such as bumps under the skin which in certain rare cases may need to be removed via surgery. But don’t worry, that is a worst-case scenario which seldom happens to patients. Not to sound all negative, one of the pros of using a synthetic wrinkle is that they usually provide longer-lasting effects compared to other kinds. However, make sure these fillers are injected correctly, otherwise, since they are artificially made, they might cause serious problems like disfigurement. A layer of collagen is usually formed around the treated area by which the injected gel will be surrounded. This can take up to about a month. Regarded as a semi-permanent kind of filler, this filler is most often used to treat medium-to-deep wrinkles. It can also be used to enlarge thin lips and fill out scars. Whenever a more permanent solution to wrinkly skin is required, dermatologists seem to go for this type of dermal filler. Compared to collagen replacement therapy or hyaluronic therapy, this one stays with you for a longer period of time. However, one major downside of this treatment is that multiple injections might be required. It can also take up to several months for the results to reveal themselves. Plus, it may leave a mark on the skin if injected improperly. You might be surprised to hear what the most common factor in this type of filler is: Fat! The surgeon would remove the needed fat from certain parts of your own body, thighs, buttocks, or stomach, and inject it into the area (fat transfer procedure). The worrying part might be the fact that the patient would have two procedures in this case. Furthermore, fat purification procedures could be costly and take more time than expected. Repeated injection might be required and the results are semi-permanent. See the results of getting facial fillers in Iran! Wrinkle fillers: this procedure aims at improving wrinkles and lines which appear due to aging in areas like forehead, under eyes, between brows, around the mouth, and the like. Cheek, chin, jawline, and lip fillers: in this procedure, fillers are injected into the aforementioned areas to give the patient a fuller appearance in the desired area. Lip augmentation can be achieved through this procedure as well. Hand fillers: dermal fillers can also be injected into the hands in order to improve the saggy skin of this area. 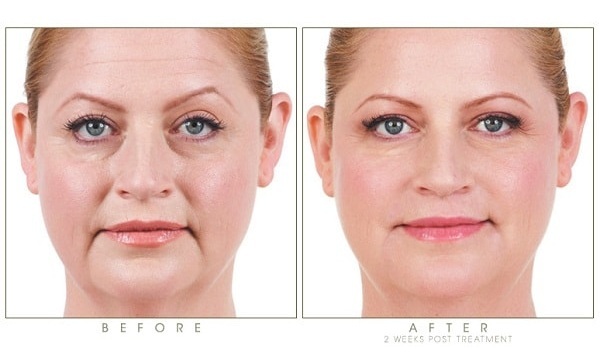 How is a dermal filler performed in Iran? First of all, the doctor will assess your skin condition and texture. The type of your filler substance will then be determined and injected into the specified site (e.g. cheek, lip, forehead, hand, etc.). The injection will continue until the desired results are achieved. This procedure lasts from 15 minutes up to 1 hour. You’ll be ready to go home after injection. What to expect after getting skin fillers? As a non-surgical procedure, dermal fillers do not involve a long recovery period. You may experience some bruising and swelling within the first few days. You may also feel numbness in the treated area for a few hours after injection. However, you’d be able to resume your routine life immediately after the procedure. You can also go back to work whenever you want. By the way, you may be advised to stop doing physical activities for 1-2 days after getting the injection. Botox and fillers are both effective solutions for improving undesirable wrinkles, lines, saggy skin, etc. Although fillers are mainly used to add volume to the middle areas of the face, Botox addresses areas around eyes, brows, and forehead. Unlike Botox, fillers do not paralyze the muscle underneath a wrinkle and that is usually considered a plus point. Moreover, Botox corrects the lines resulted from the contraction of the muscles. Wrinkle fillers, however, fill the hollow lines which always appear on your skin whether you’re contracting the skin’s muscles or not. Depending on the type of cosmetic filler injected, they can last from 6 months up to 2 years or more. Hyaluronic acid fillers are the most temporary, while Polyalkylimide fillers may last forever. When fillers are being injected into your skin, you may experience some level of pain and discomfort. After the procedure is finished, it won’t hurt and you can freely resume your normal activities. Fillers are generally recognized as safe solutions to be injected into the skin. However, it can cause complications if not performed by a skilled doctor. Complications include irritation, itching, infection, asymmetry, the death of skin cells, and vision loss. These complications do not occur frequently and can be controlled by choosing the right surgeon or taking medications after they occur. Can cosmetic fillers cause blindness? As there are a few reports on blindness resulted from getting filler injection, here we are going to make this clear for you. Blindness is a rare complication which may occur after getting filler injected. It only occurs when the areas around the eyes are treated. In this case, the filler substance may enter the eye’s artery and block the blood. However, by choosing a proficient doctor, this would not happen at all.